As easy and fun as some months are in most bees that I am in, this month in Bee Sewcial had me stumped. Melissa asked for transparency blocks. 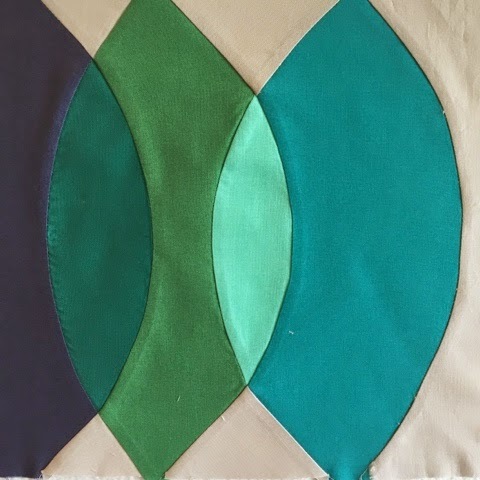 I had to Google what that meant and search and search on Flickr, Pinterest and other websites to finally get a feel for how to achieve a transparent look in quilting. Being that this is a solids only bee made it a little easier to understand. And then I saw this display at Crate and Barrel and it all made sense to me. 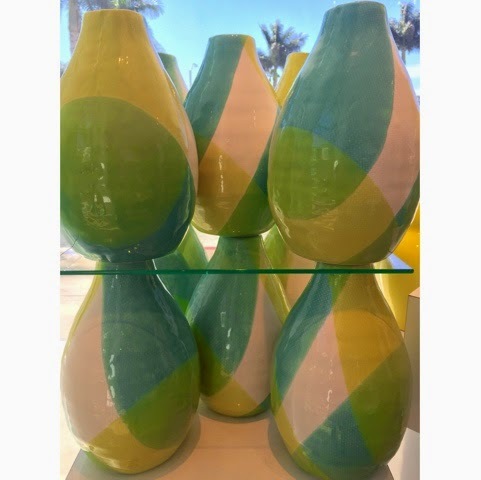 I am very visual and since Melissa wanted cool blues and greens with light grey these vases became my inspiration for the first block. This week I sketched on some freezer paper and then cut out the pieces to make this block. It measures about 10" square, untrimmed, which is the way we are supposed to send the blocks. 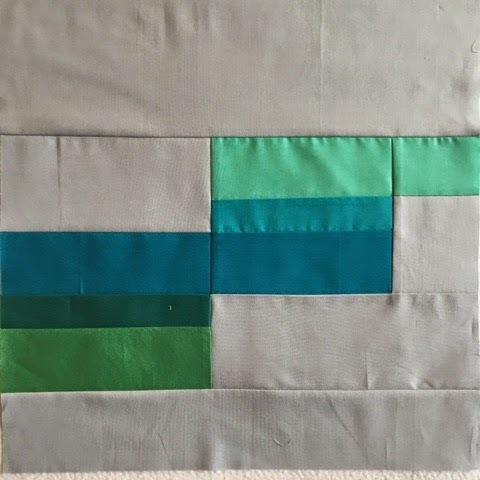 For the second block, which measures about 15" square, I just did some gradual color changes with a strip pieced block. I have learned so much in this bee and I am feeling more confident in my creativity. So thank you Bee Sewcial, for challenging me and inspiring me to search deeper into my creative self. Next month is my month to be queen. I better put my thinking cap on. I'm so glad you are enjoying the bee and that you are in it. I am a bit stumped too, but I am hoping to figure out this assignment this weekend. I love your blocks. it will be interesting to see the finished product. Isn't it funny where we find inspiration?! That requirement would have stumped me too! Love the colour palette of your blocks!